At this point, many of you probably know that Caleb entered our lives 8 days ago, on December 30, 2011. Apparently he instinctually knew that his parents could use the tax credit for 2011, and was gracious enough to join us just over a week ahead of his January 8 due date. I will share a more detailed version of our birth story in a few weeks (or whenever I get more than about 30 minutes to sit down at the computer), but it was pretty amazing. We arrived at the hospital 7cm dilated, so labor progressed pretty quickly. Sarah ended up pushing for over 2 and a half hours, and then we finally got a little vacuum assistance to get Caleb’s head around a corner, and then it was a few more pushes, and before I knew it, I had rubber gloves on and I was reaching down to help bring Caleb into this world and onto his mommy’s chest. Sarah did this 100% completely natural, no pain meds, not even a saline IV. It’s safe to say that we couldn’t have done it without our doula, which is something I’d absolutely 100% recommend to anyone having a baby. 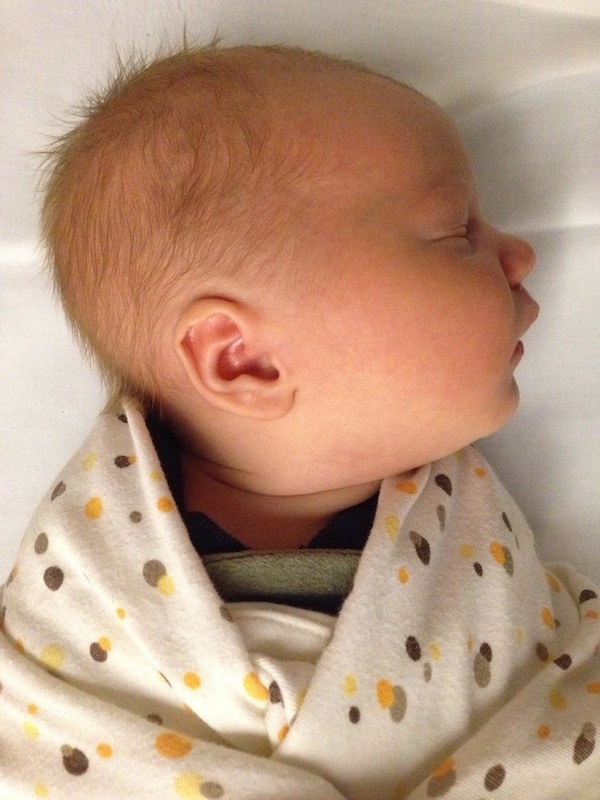 He’s a beautiful baby boy…and there is so much more to say, but it will have to wait to future posts. He amazes me, makes me laugh, pisses me off, pisses on me, screams like a banshee, frustrates me, causes me to feel hopeless and helpless and makes me think he’s the greatest thing ever to happen to me. And I’m guessing that’s par for the course. You can see more photos here. Congrats to you and Sarah and welcome to the world Caleb! Beautiful post Adam. And your last paragraph says it all. Soak in every moment man, it’s quite an amazing ride. Yay! Congrats 🙂 so happy for you!